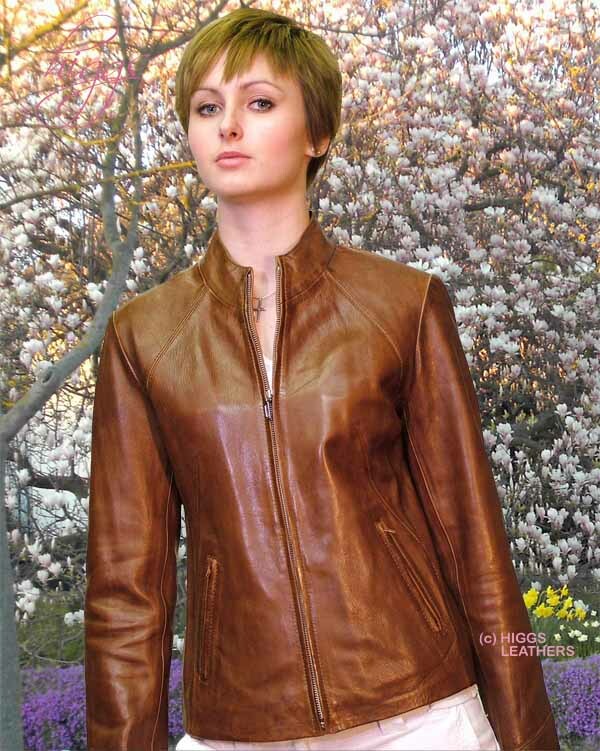 Incredibly soft shorter length Vanilla shade Lamb Nappa women's leather jacket. 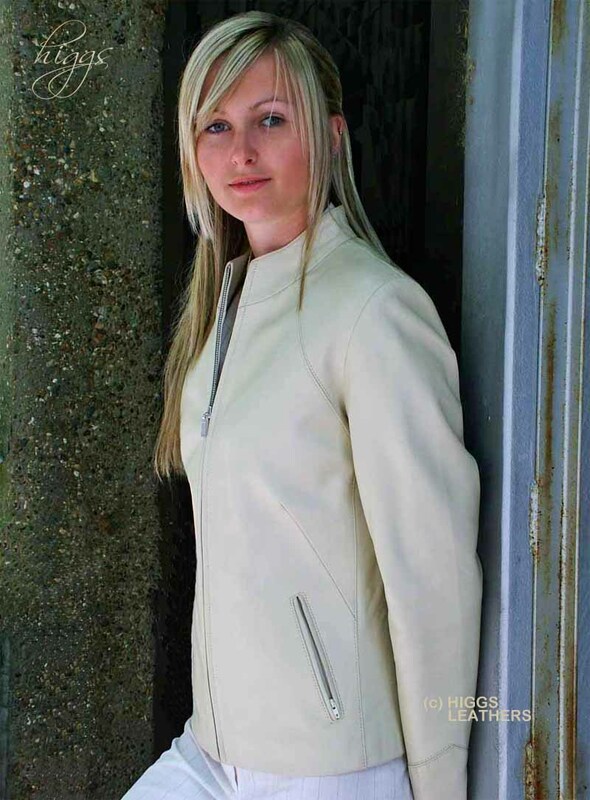 Slimline fitted body, tailored sleeves, small mandarin collar, unusual curved seams below shoulders. Two comfortably placed pocket with zips. Body fastens with a strong metal zip. A really flattering slimline design that looks good with trousers or skirts.